Dr. Jason Wong, DC is a chiropractor in Orinda, who specializes in providing superior chiropractic services including adjustments, physiotherapy and rehabilitation, nutritional assessment, lifestyle advice, trigger point therapy, corrective exercises, active release technique and custom foot orthotics. Dr. Jason has been delivering quality chiropractic care to his patients since 1999. He graduated from University of Davis with a degree in Biological Sciences and a minor in Exercise Physiology. He completed his chiropractic training at Palmer West of Chiropractic in San Jose where he graduated with Honors. He is a member of numerous organizations including the American Chiropractic Association, the California Chiropractic Association, the Orinda Chamber of Commerce and the Rotary. As a chiropractor, he uses a "whole person approach" when taking care of his patients. By combining the very best hands-on-technique, state of the art physiotherapy procedure, and providing the newest and best natural vitamins, minerals, and herbal supplements on the market today, Dr. Jason Wong is able to help you to accelerate and/or maintain your journey to good health. He utilizes gentle chiropractic techniques and state-of-the-art physiotherapy modalities to achieve optimal health for his patients. As a Chiropractor, he provides physical solutions -- adjustments, exercises, stretches, muscle therapy -- to help the body heal from conditions that are physical in origin, such as back pain, muscle spasms, ligament sprains, headaches, and poor posture. His goal is always to restore your health to pre-injury status or better. Dr. Jason Wong, owner of Orinda Family Chiropractic, has been voted Best Chiropractor of Lamorinda by Lamorinda Moms Club in 2011 and 2013 (Awards are given every 2 years). As a long time resident of Orinda, Dr. Jason feels blessed give back to his hometown community. Dr. Jason grew up in Orinda, attending TOPS preschool, Glorietta Elementary School, Orinda Intermediate and Miramonte High School. 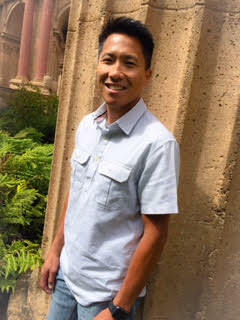 Call Orinda Family Chiropractic today (925) 258-0850 for an appointment to meet Dr. Jason Wong.